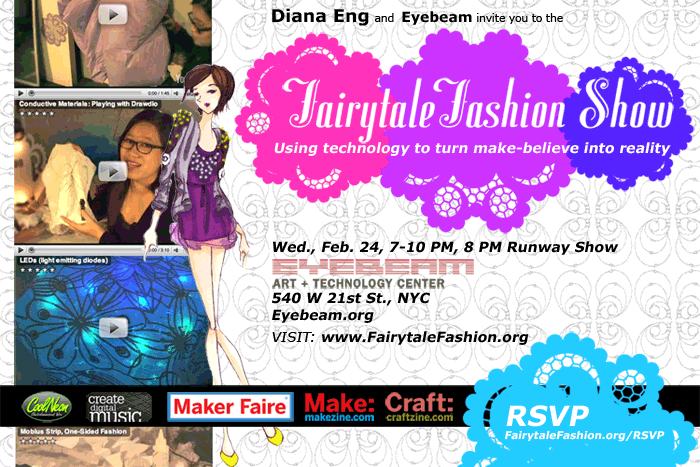 CRAFT friend Diana Eng is “using technology to turn make-believe into reality” at her Fairytale Fashion Show later this month at Eyebeam in NYC. RVSP early to claim a spot! I’ll be there checking out all the fashion tech on the runway. Keep an eye out, Diana is going to be reporting on the process of the show on CRAFT and Make: Online starting this Friday.